If you are looking to create a work space with everything from underfloor heating and cutting-edge IT to desk space, then you should take a look at Garden Hideouts. Or perhaps you want to create an extra room in the garden for leisure or to help you enjoy more of your garden. If so, then Garden Hideouts may be exactly what you need. Garden Hideouts are the outdoor specialist with a range of spaces from standard Pods to larger, bespoke spaces. Choose from self-build options or a full interior design service to give you a room that’s ready for use from day one. With three options to buy – fully-customed; unfurnished or self assembly – and with a wide range of spaces, there is something to suit every need. Garden Hideouts, founded by entrepreneur Chris Hill, are built to take whatever the British climate will throw at it. The Company’s designers and skilled craftsmen ensure each garden room is tailored exactly to a customer’s needs, right through from construction, furnishing and finishing touches. Their team can work with clients to plan each room down to the smallest detail. The method of construction is one commonly used in Canadian house construction for rigid and robust structures. 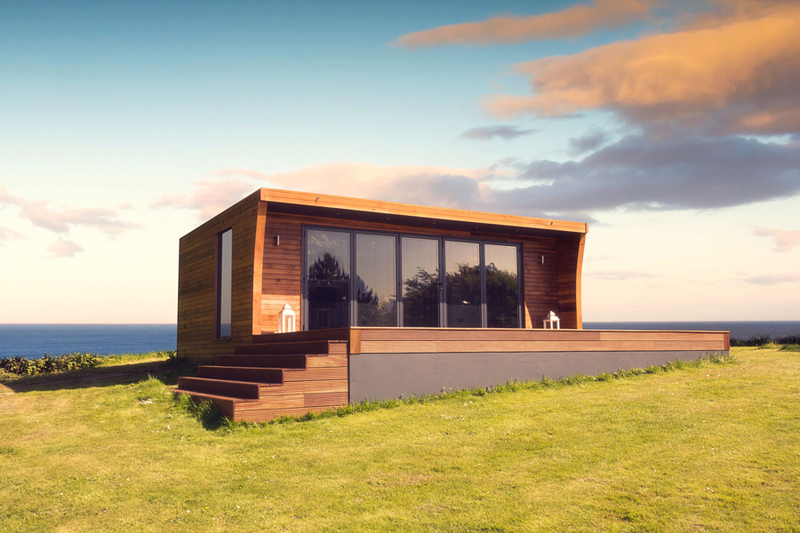 The range includes Pods, Shepherd Huts and bespoke Arca Garden Rooms with a wide range of uses from garden offices, treatment rooms, games rooms or a relaxing place to chill out. The Arca Garden Room is very versatile and you can connect a whole series for a truly extensive space if required. 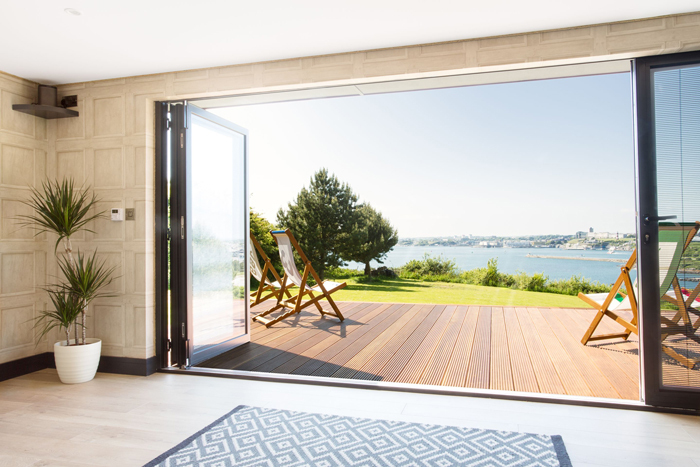 On the outside it is made with hand-oiled Western Red Cedar tongue and groove cladding while inside, professional designers Bayswater Interiors, have turned this distinctive garden room into something very special. 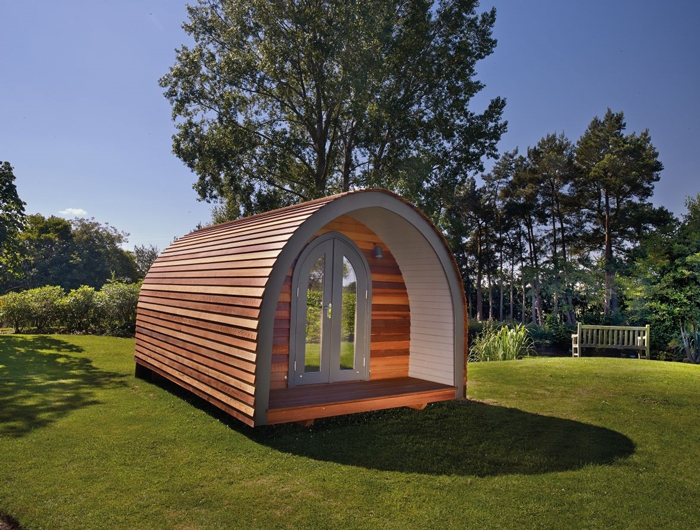 The Garden Pods are made of natural materials to enhance any environment and could be used as an extra guest bedroom or a comfortable space for a hospitality business such as a B&B. Chris Hill points out that the line between ‘posh sheds’ and garden rooms is quite blurred: “As more people are now realising, there is no reason why an extra room in their garden cannot be just as beautifully designed as any room in their house, the amount they are spending can easily reach £50k, for example“, says Chris. “At Garden Hideouts we have our own interior design team and if a client specifies expensive fittings, furniture and fabrics then the price for a luxury ‘granny flat’, with a dressing area and an en suite bathroom – completely furnished and ready to go – can be as much as £68k. A ‘man cave’ with a great sound system, TV, a bar and a bathroom would probably cost in the region of £45k,” he continued. “It seems that Britain’s long love affair with sheds (at around 12 million we probably have more, proportionally, than any other country) has now spilled over into a trend for something a bit grander. With stamp duty and all the other expense and hassle of moving to a bigger house, they can make a lot of sense,” adds Chris.